September 3rd 1998: Delivered to Cenargo International Ltd (Nassau, Bahamas). 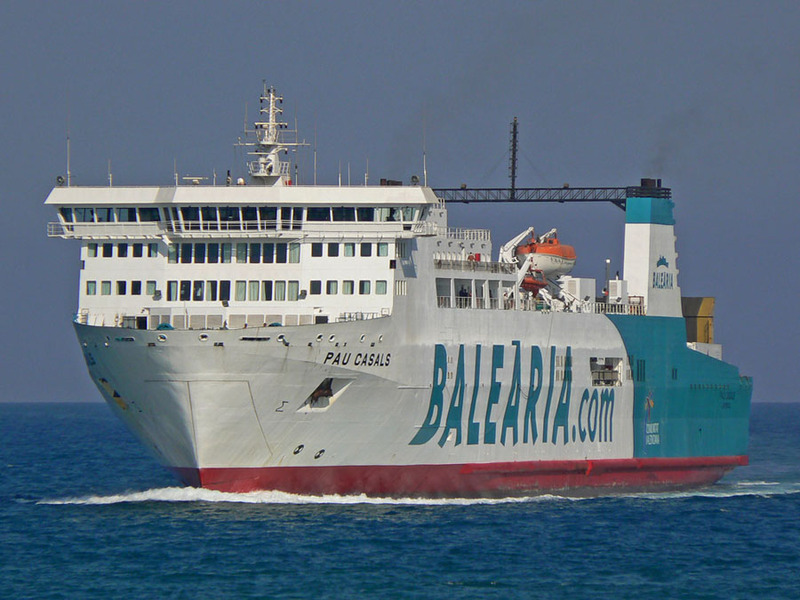 She was initially chartered to Und RoRo, Istanbul, Turkey and introduced into service between Istanbul – Trieste. 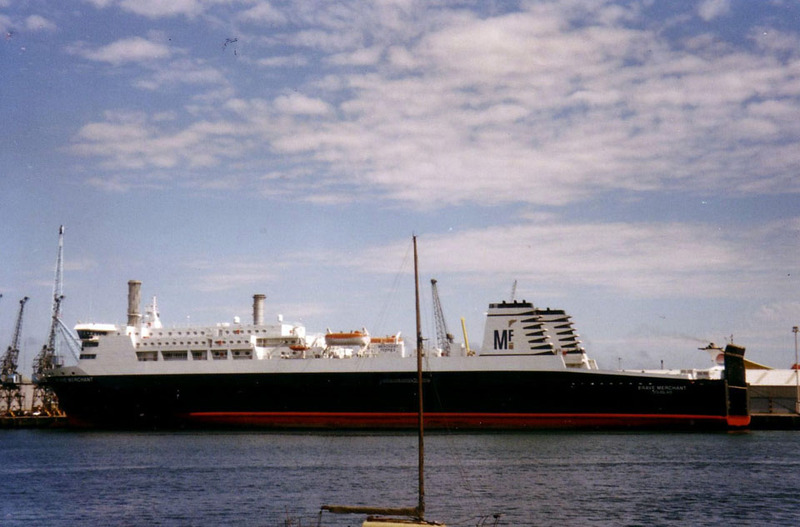 1999: Registered to V Ships (UK) Douglas, Isle of Man. January 7th 1999: She first arrived in Liverpool. February 15th 1999: Introduced between Liverpool – Dublin. 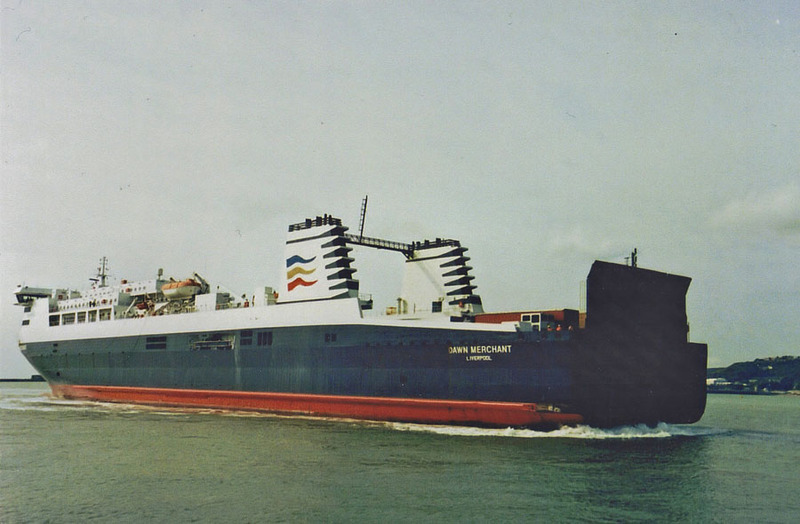 with Merchant Ferries. March 1st 1999: Also carried foot-passengers. 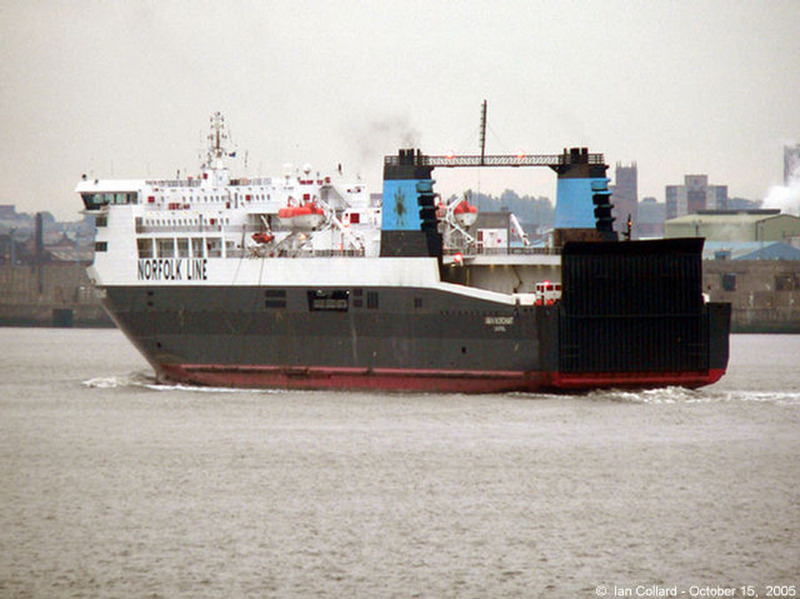 April 2002: Operated under the banner of Norse Merchant Ferries from Liverpool – Dublin. 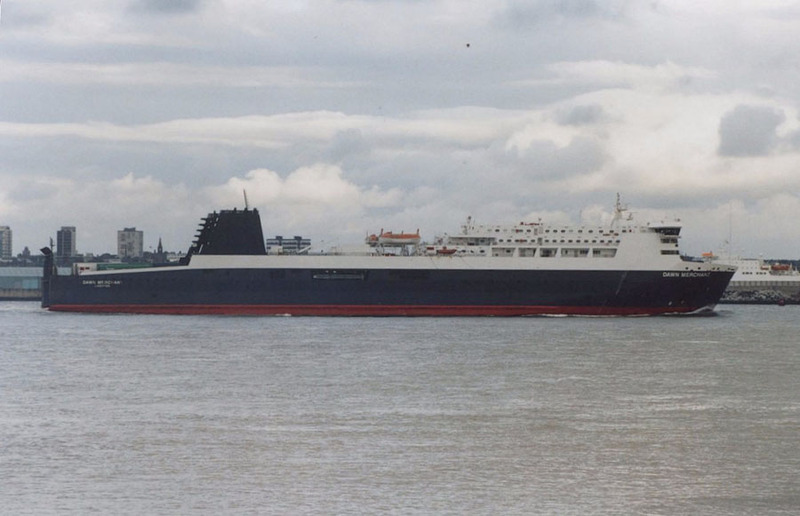 September 2nd 2002: Was due to enter service at Dover, but there was a delay in replacing her on the Mersey-Dublin route. September 13th 2002: Left Liverpool. September 14th 2002: Arrived at Dover. 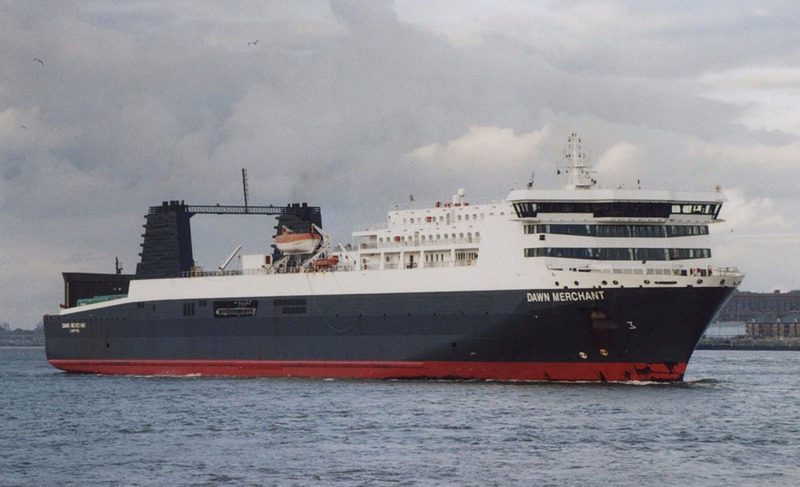 September 15th 2002: Maiden voyage between Dover – Dunkerque (without modifications, paint or structural). 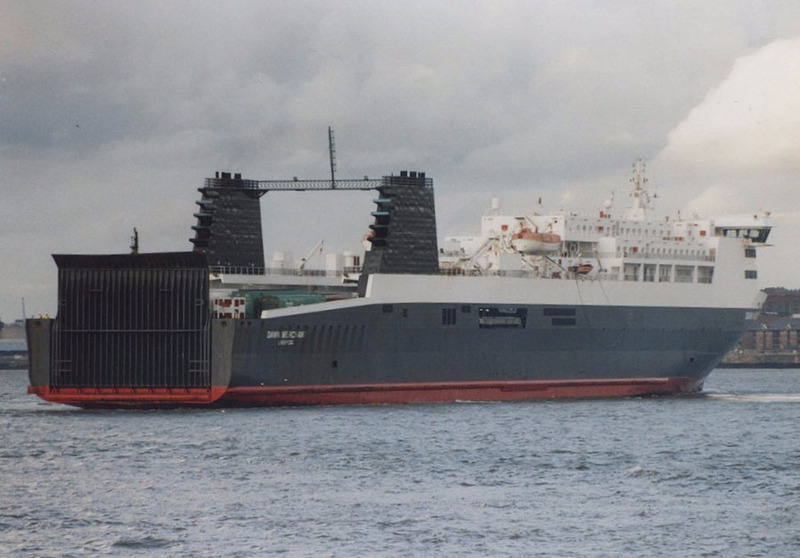 October 24th 2002: Lightly loaded and in apparently good weather, she collided with the breakwater at Dover and had to return, taking in water and in need of evacuation and repairs. 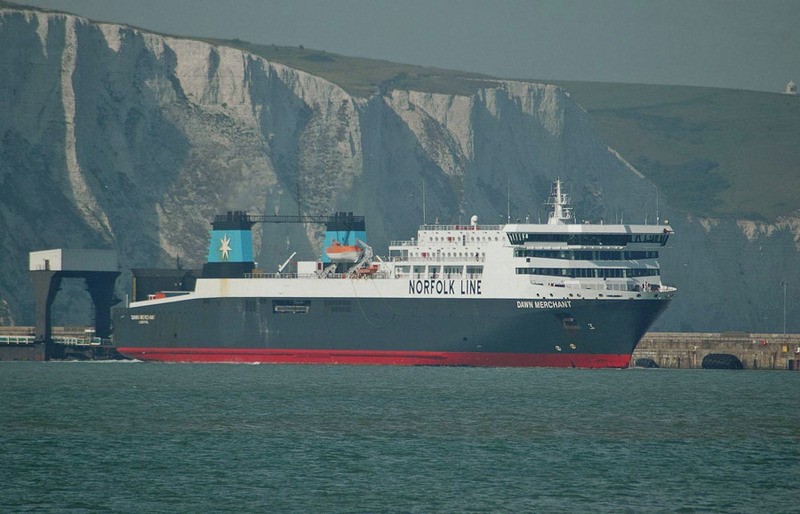 Without the necessary stern modifications required to allow her to operate from anything other than Berth 1 at Dover, departures through the Eastern exit require a difficult manoeuvre. 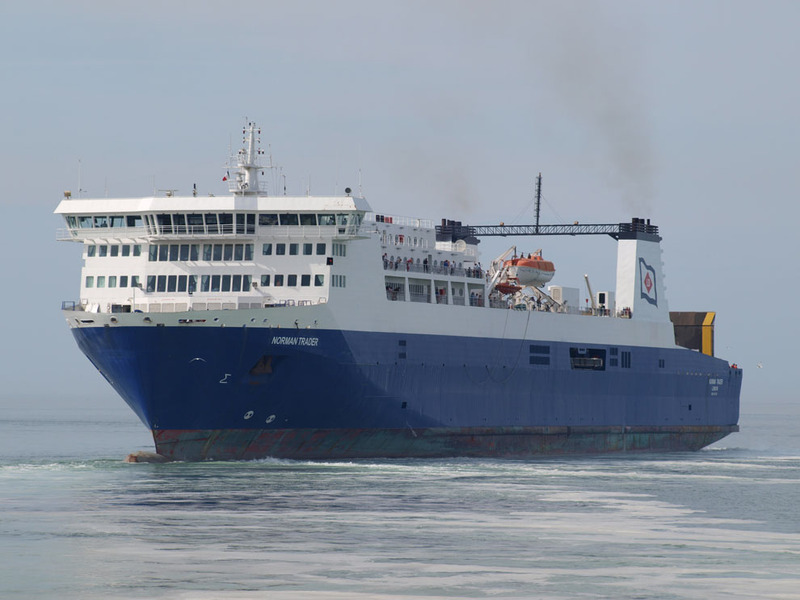 The ship’s starboard side struck the central breakwater causing a 15 metres gash above the water line. 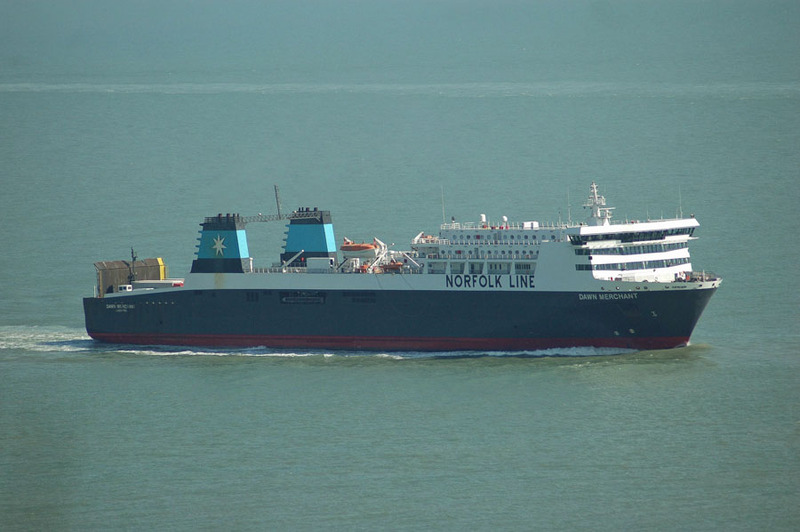 The ship went to Dunkirk for repairs, during which time she was repainted in Norfolkline livery, but no structural modifications were carried out. November 21st 2002: Returned to Dover. December 17th 2004: Damaged as she was leaving berth number 1 at Dover during bad weather. 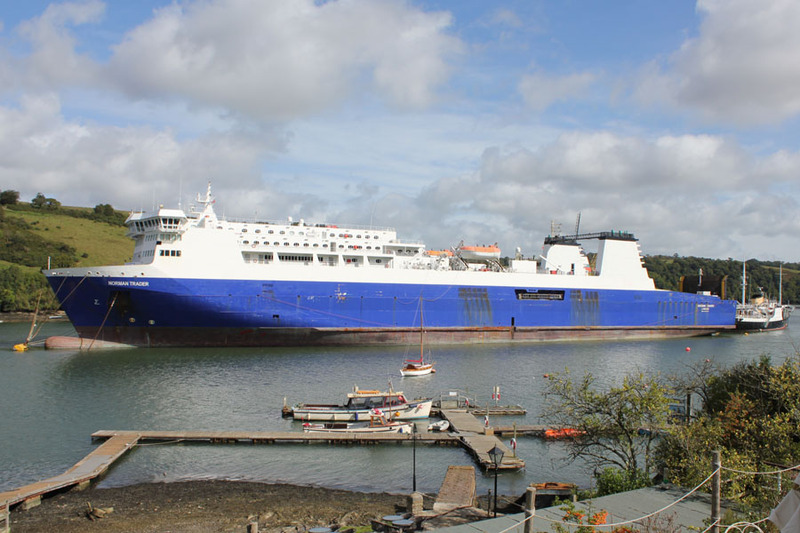 With 50 passengers, 9 cars and 19 freight vehicles on board, she hit the harbour wall resulting in a return to the berth where she discharged both passengers and cargo. December 18th 2004: Sailed to Arno at Dunkerque for repairs. 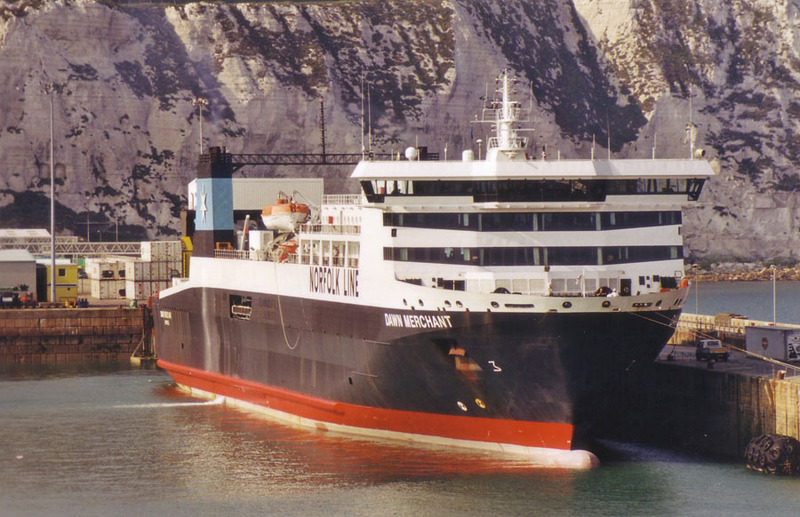 July 1st 2004 (Dover Express): Norfolkline’s three Channel Ferries will be run by a newly-formed shipping group in a multi-million pound deal. 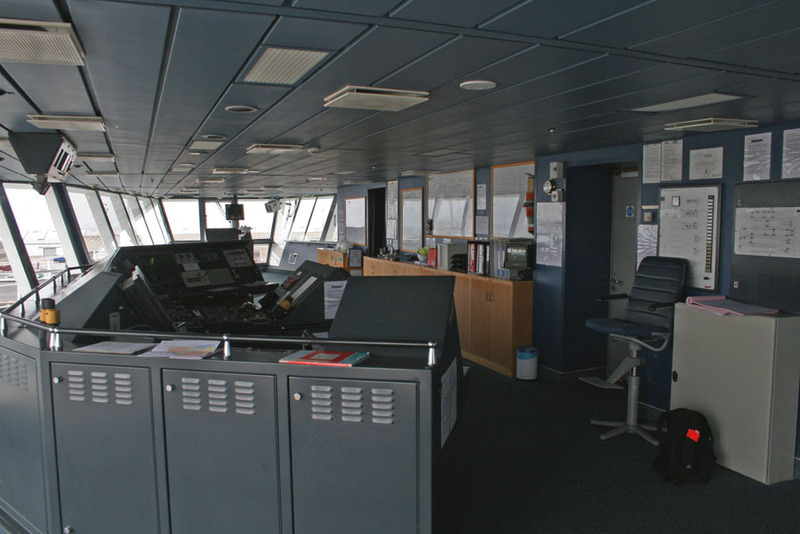 Indo-China Ship Management (UK) has won the contract to operate and crew the ships. October 13th 2005: With the impending arrival of MAERSK DUNKERQUE, made her last sailing Dunkerque – Dover and sailed direct to Liverpool. October 20th 2005: Departed from Brocklebank Dock. She has been berthed since her return from the English Channel on the morning of Saturday October 15th. Her Norfolk Line fleet name has been painted out, whilst her funnels have been painted all back to obliterate the Maersk blue. On entering the Mersey she proceeded to the Liverpool Bar. She hen returned and sailed up river and proceeded to Twelve Quays to take up DUBLIN VIKING’s sailings. DUBLIN VIKING after discharging at Twelve Quays, moved off to allow DAWN MERCHANT to berth. She then moved up river to await the early morning tide on Friday October 21 tide prior to entering Cammell Laird #5 dry dock for refit by NSL. November 12th 2005: Left Liverpool for the final time it seems. Destination is Siros. December 12th 2005: Registered to Daybreak Shipping, Ltd, England. 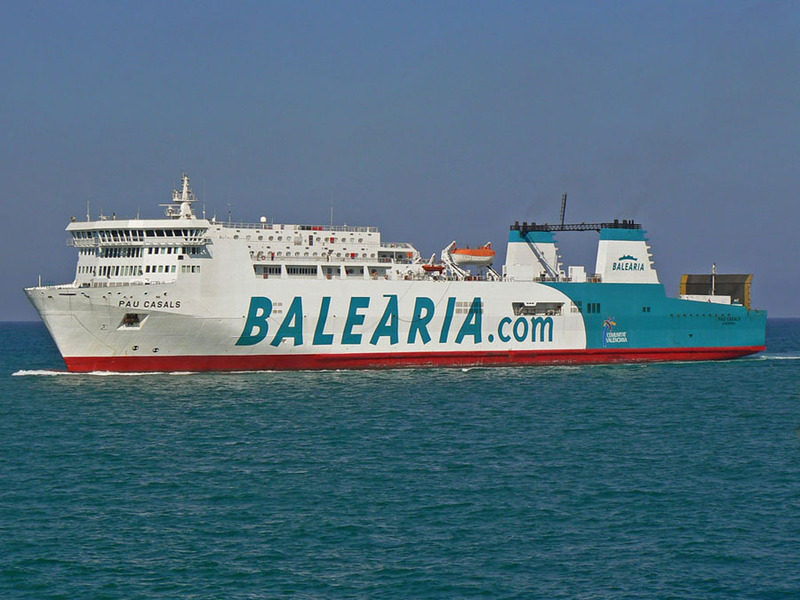 January 2006: She will connect Barcelona with Palma. Renamed PAU CASALS. 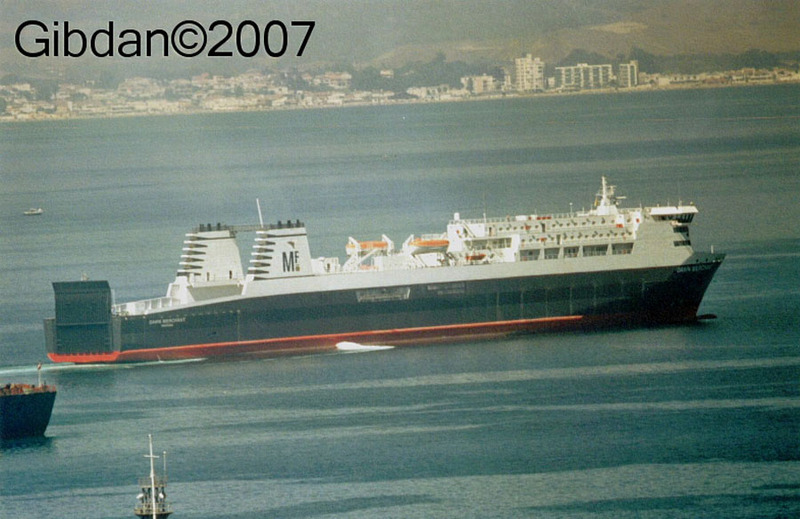 October 29th 2008: Subject of MAIB enquiry re failure of a bow door locking mechanism while the passenger ferry was on passage to Barcelona in heavy weather. 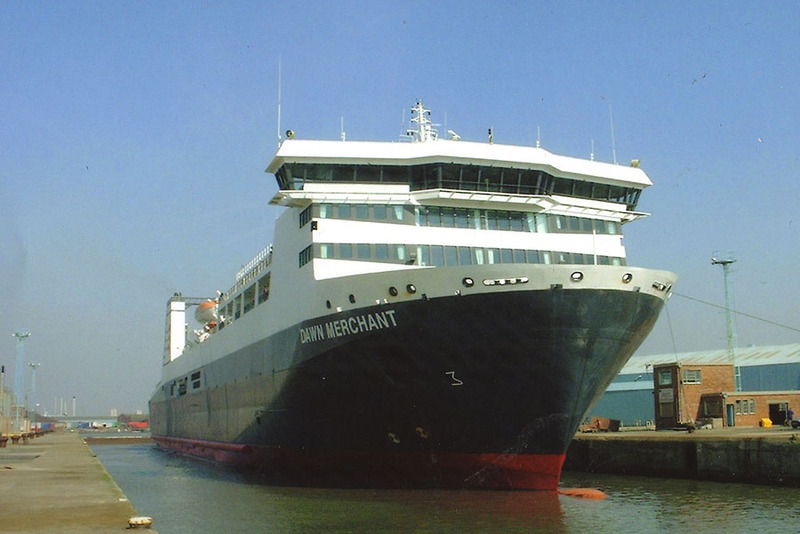 November 22nd 2008: Media reports suggest she will be renamed AVE LUEBECK and be operated by the company AVE Logistics. 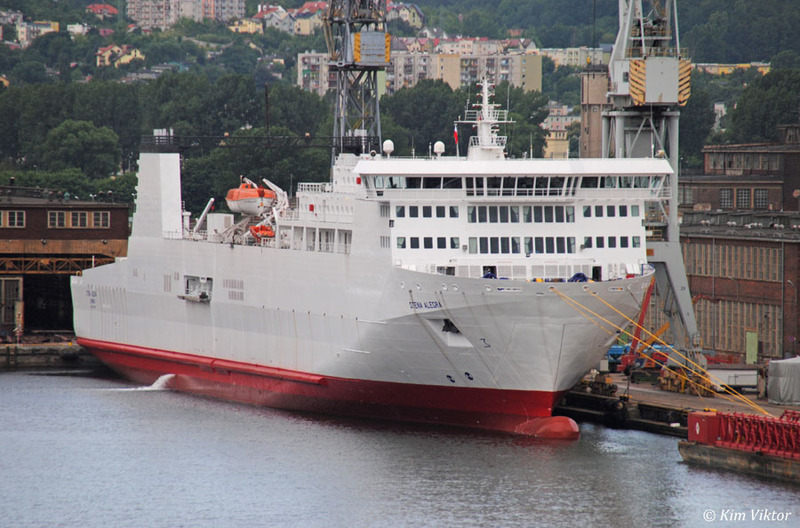 It is anticipated she will commence Liepaja-Travemunde route. December 11th 2008: Reported as being at Gibraltar. December 30th 2008: Anticipated departure from Gibraltar, bound for Travemunde.January 3rd 2009: Passed through Dover Straits bound for The Great Nore anchorage (Sheerness) where she would take on stores and change crew. 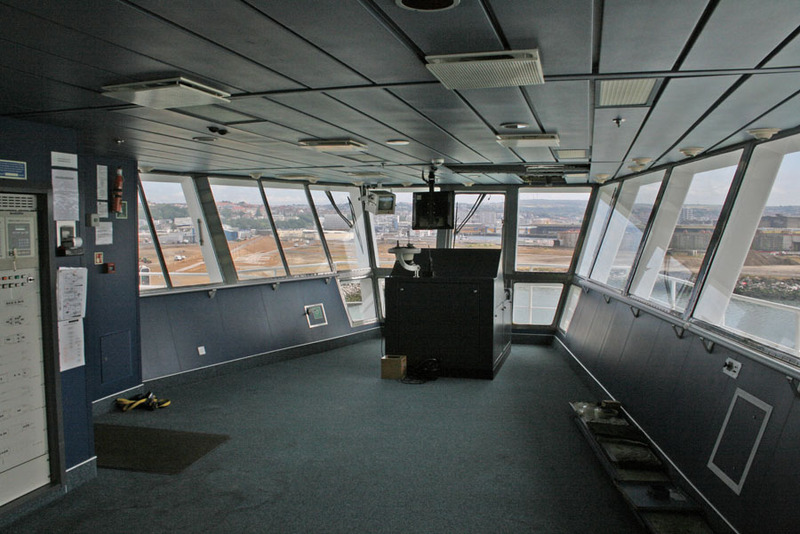 January 15th 2009: Arrived at the The Elbe anchorage. February 5th 2009: Arrived in Cuxhaven. 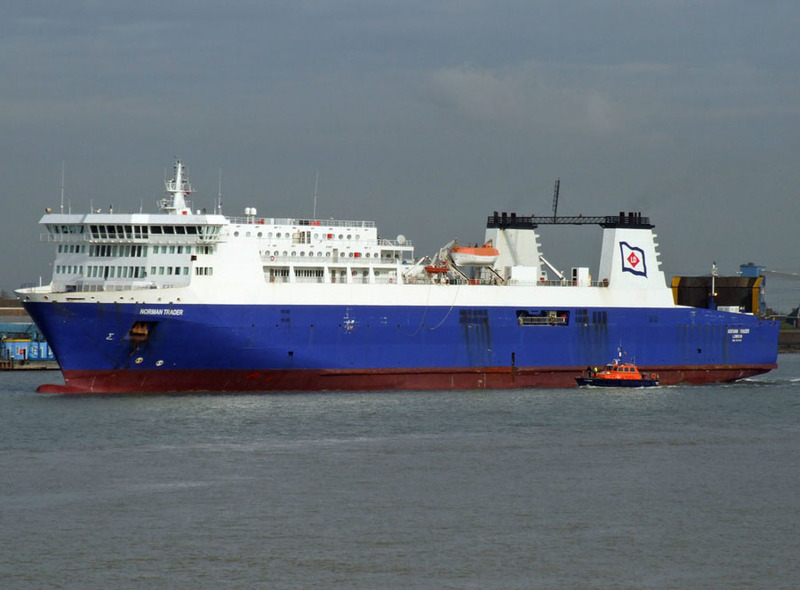 March 3rd 2009: Rumours circulating that her charter to AVE Logistics had been cancelled and she was noted as being en-route to Sheerness, Great Nore anchorage. March 12th 2009: Arrived at berth 2 Sheerness. March 18th 2009: Returned to the Great Nore anchorage. March 31st 2009: Arrived at ARNO, Dunkerque. 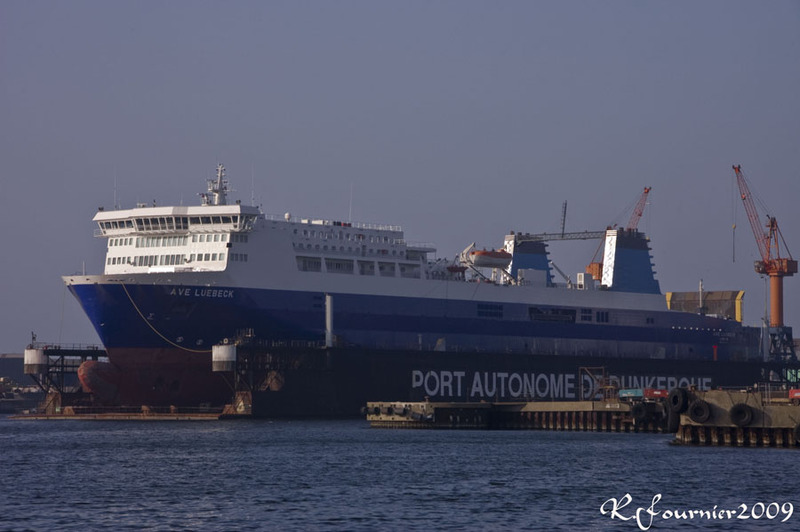 April 3rd 2009: Port de Dunkerque records her as being renamed T REX. April 2009: Announcement made that she be employed by T-Link di Navigazione, a newly established company which will operate between Genoa’s Voltri terminal and Termini Imerese near Palermo. 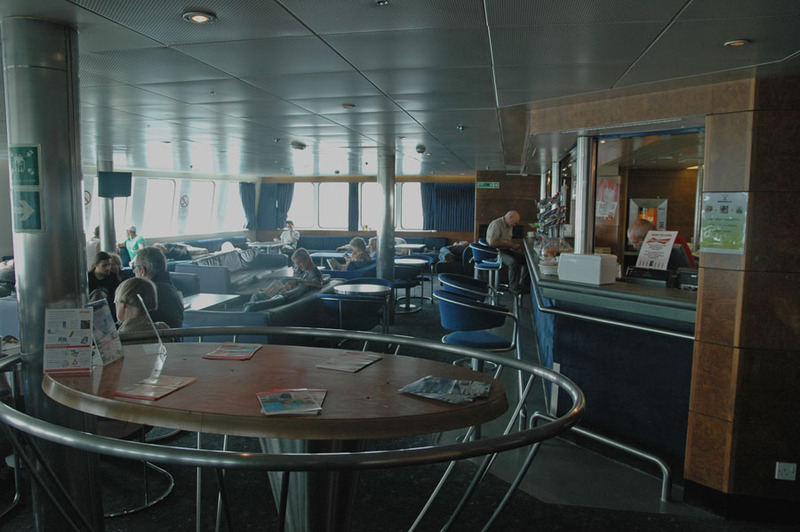 April 13th 2009: Left Dunkerque and passed through the English Channel en-route to Genoa. December 2009: Chartered to Cotunav. 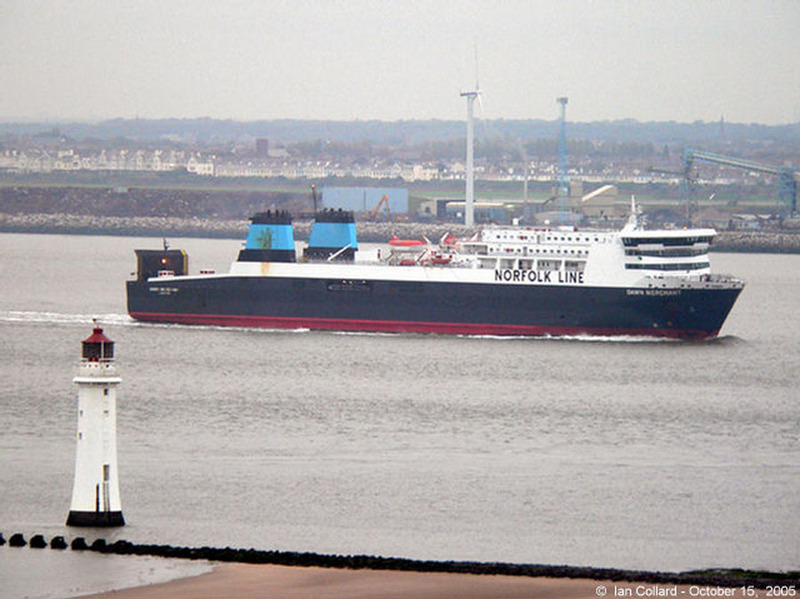 March 26th 2010: Rumoured to be bound for charter to Norfolkline for refit cover on the Irish Sea. May 15th 2010: Anchored off Boulogne. 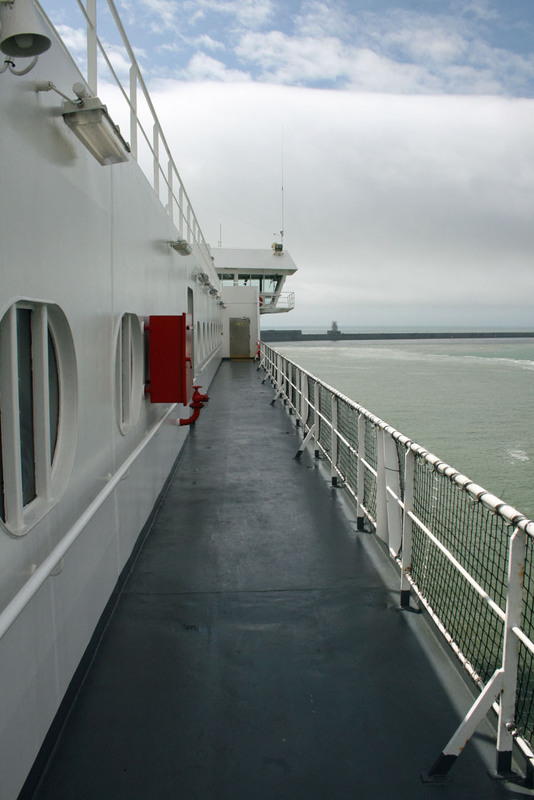 May 30th 2010: Commenced Boulogne – Dover. 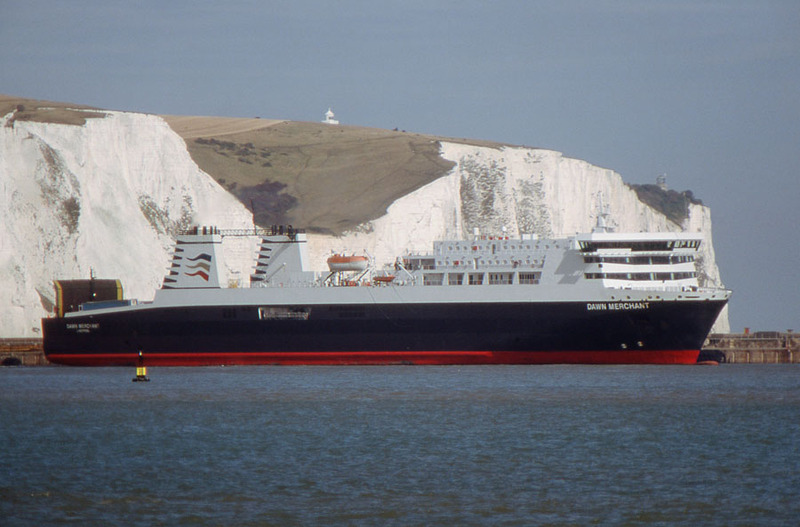 23rd August 2010: LD Lines announces the closure of the Dover-Boulogne passenger service. The last sailing will be on the 5th September 2010. 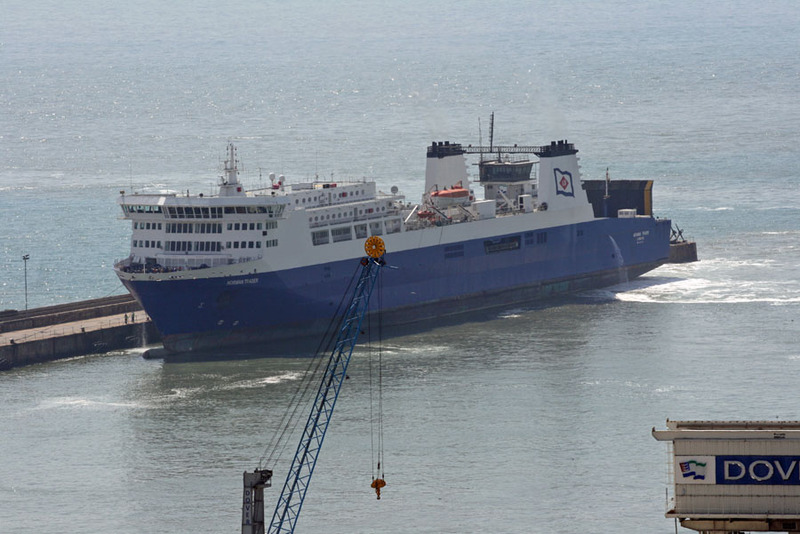 September 5th 2010: LD Lines close the Boulogne route and pull out of Dover. 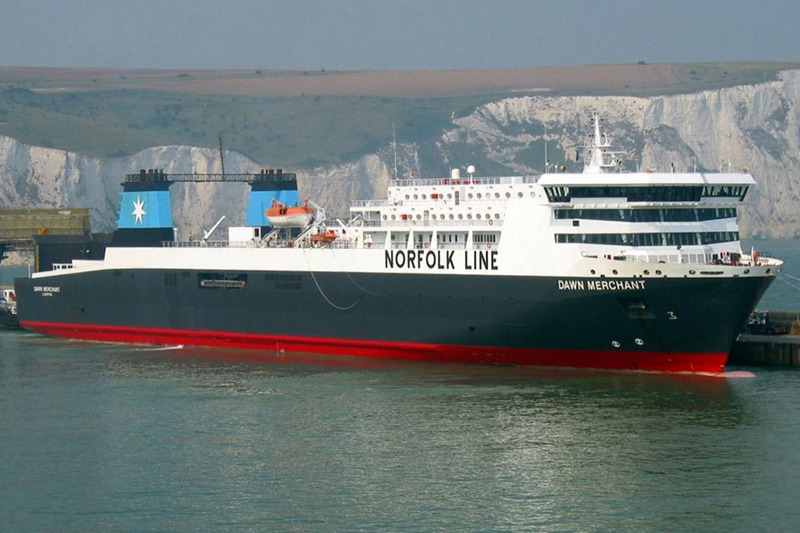 The last crossing from Boulogne to Dover is completed by the Norman Trader. 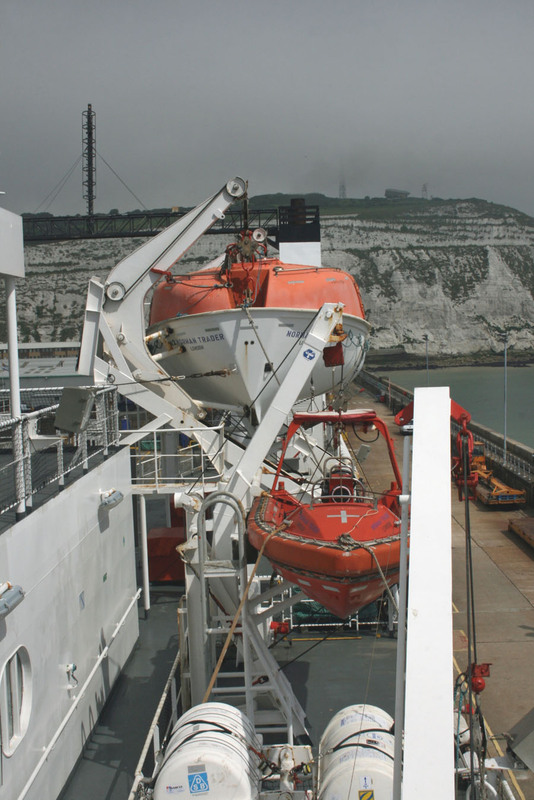 September 6th 2010 (17.18 hrs): Left Dover for Antwerp (later her destination was altered to Amsterdam). September 14th 2010: After anchoring off Zeebrugge arrived at Amsterdam for dry-docking and lay-up. November 20th 2010: Arrived at Tilbury. 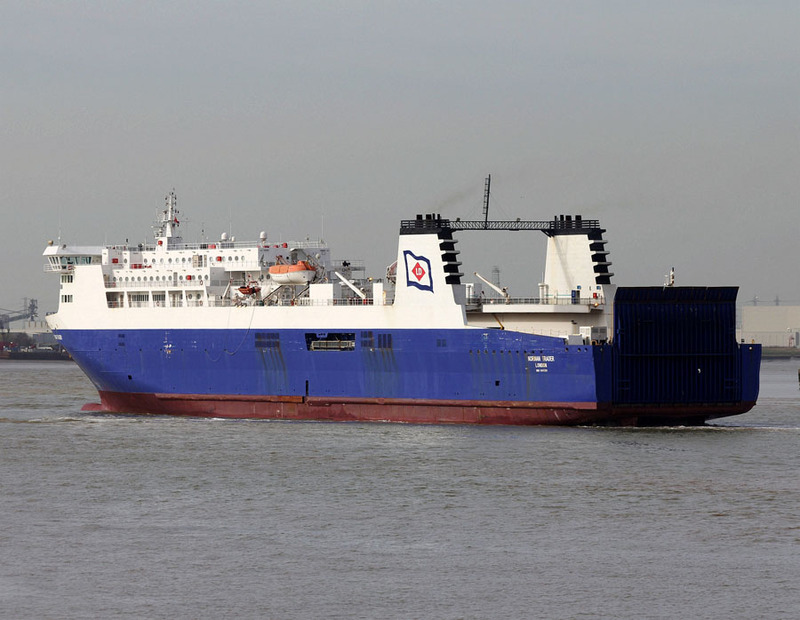 January 1st 2011: Departed Tilbury for Le-Havre (To relieve COTE D’ALBATRE/ Portsmouth – Le Havre service). 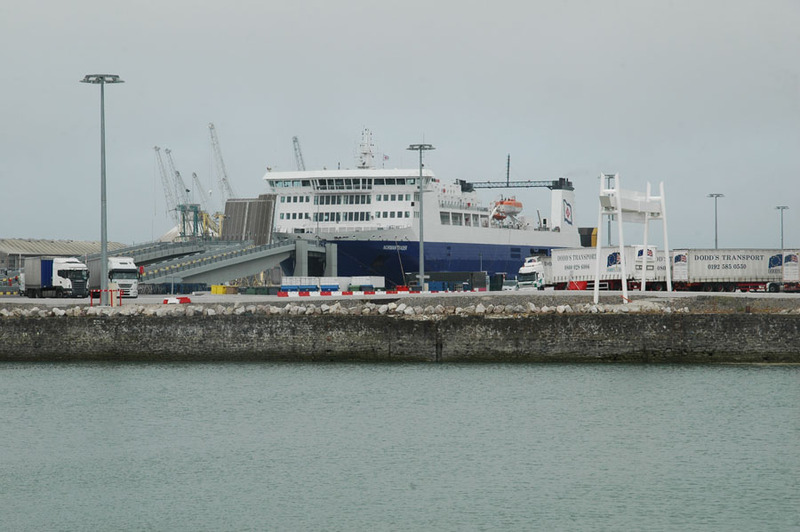 January 2nd 2011: Due at Le-Havre. February 24th 2011: Returned to Tilbury. 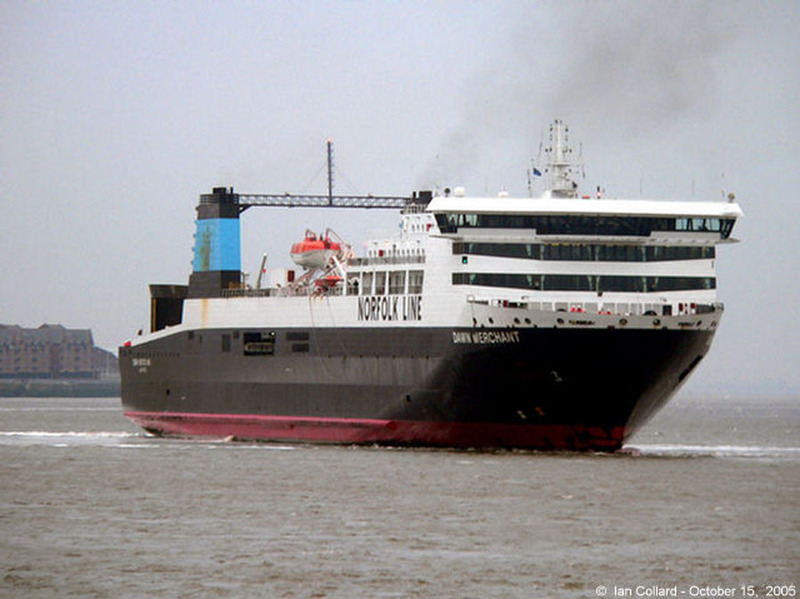 March 30th 2011: Scheduled to depart Tilbury, destination Dublin. 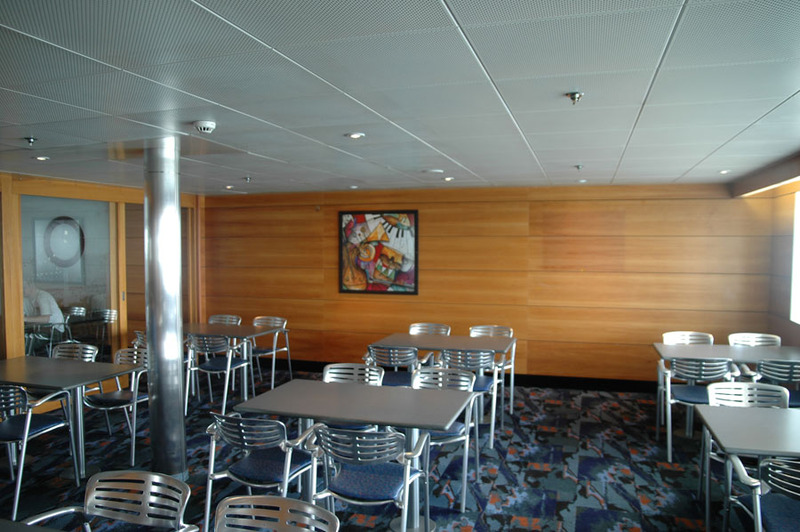 May 3rd 2011: Covered Stena Line and P&O Ferries refits on the Liverpool-Dublin. 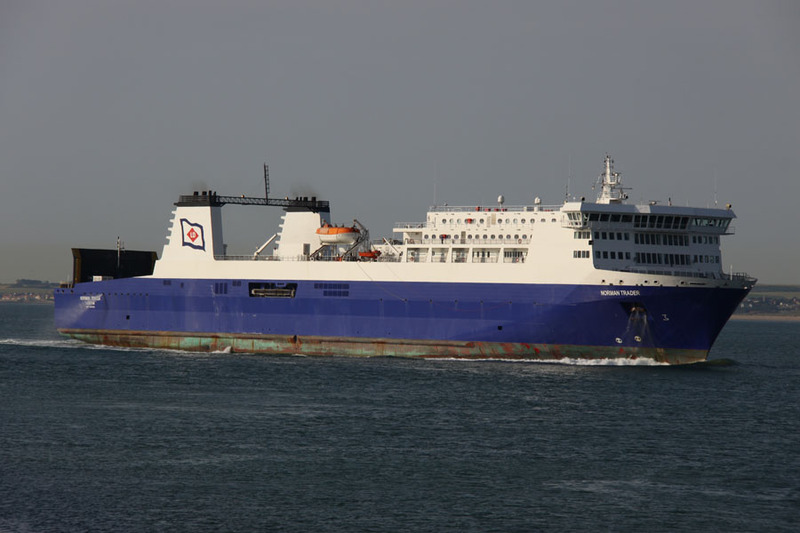 24th May 2013: Reported that the Norman Trader had been sold to Stena Line and would be towed to Poland for refit. 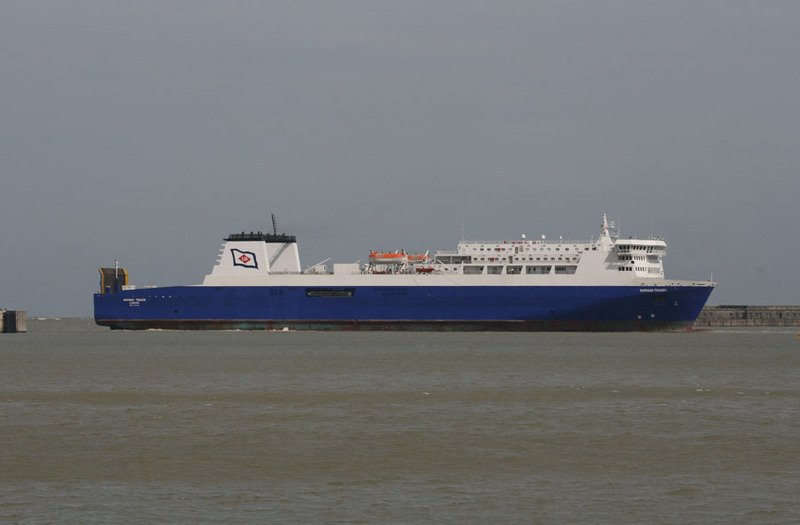 It was reported that the vessel would be renamed Stena Alegra. 26th May 2013: Departed Falmouth undertow of the tug ‘Viking‘. 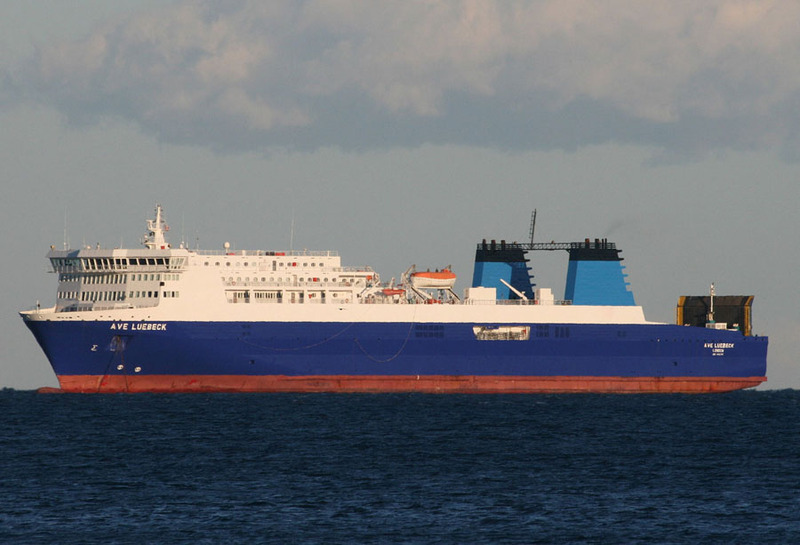 It was reported that the vessel was bound for Gdynia. 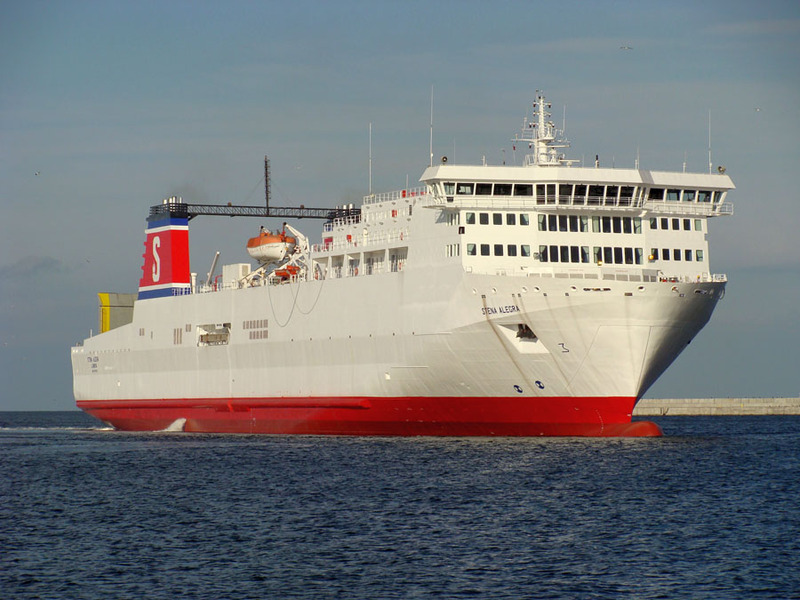 June 2013: Renamed STENA ALEGRA. June 5th 2013: Arrived in Gdynia. 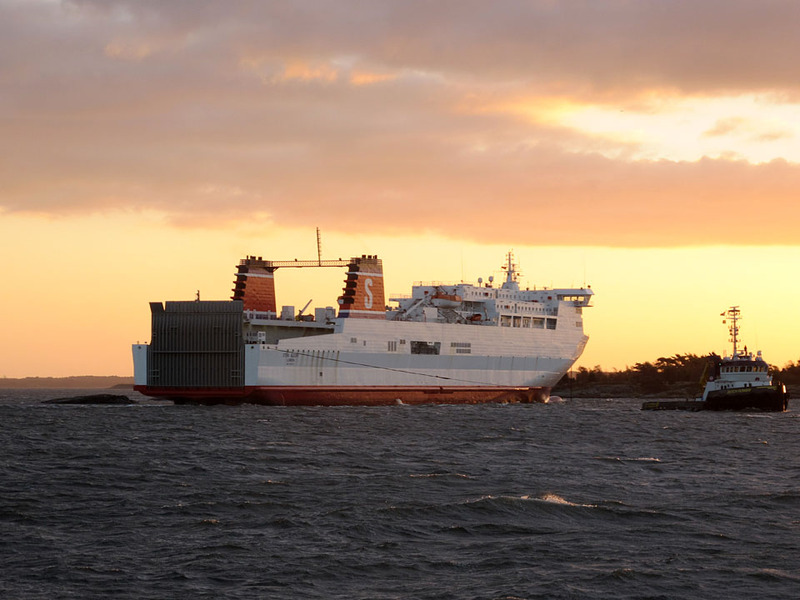 October 28th 2013: Reportedly ran aground off Karlskrona in strong winds. 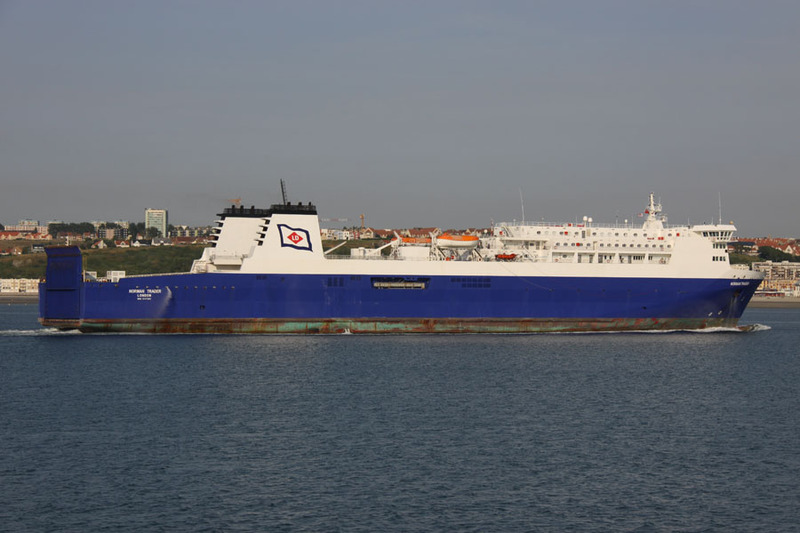 The vessel was in ballast anchored off the port of Karlskrona when she dragged her anchor and went aground on a shoal. There were no reports of injuries or pollution from the vessel. October 30th 2013: Vessel successfully re-floated. 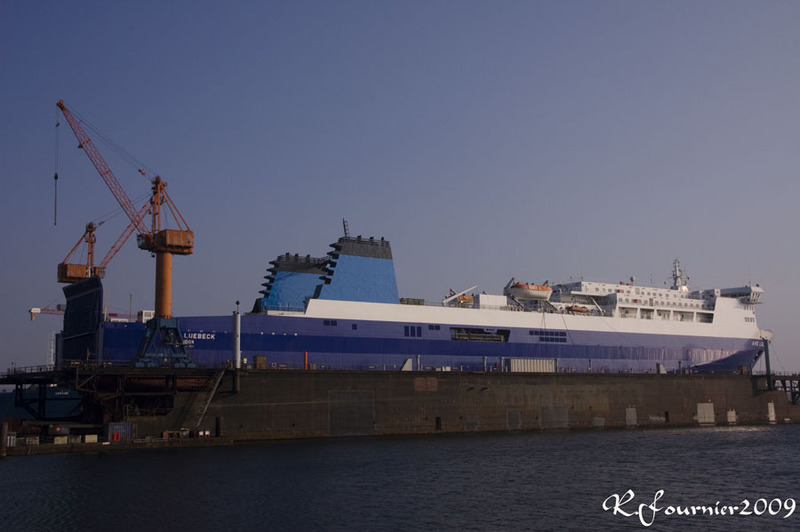 October 31st 2013: Arrived in Gdynia, Poland for repairs. 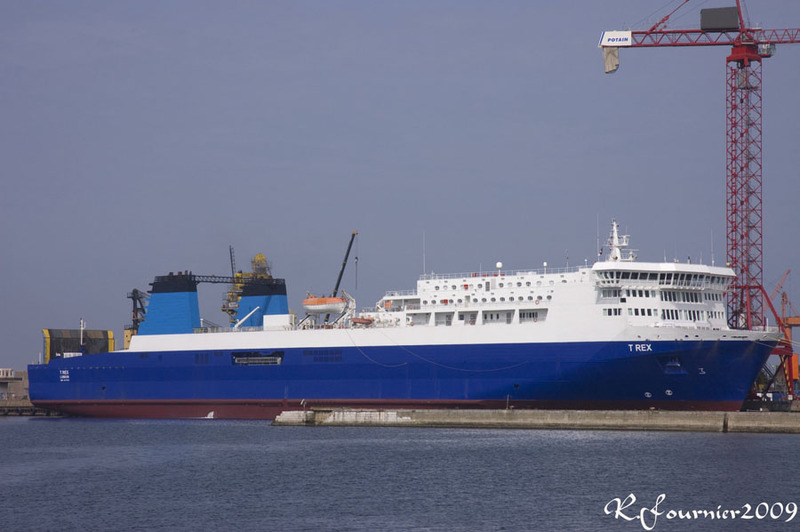 November 27th 2013: Left Gdynia bound for Falmouth. November 30th 2013: ETA Falmouth. 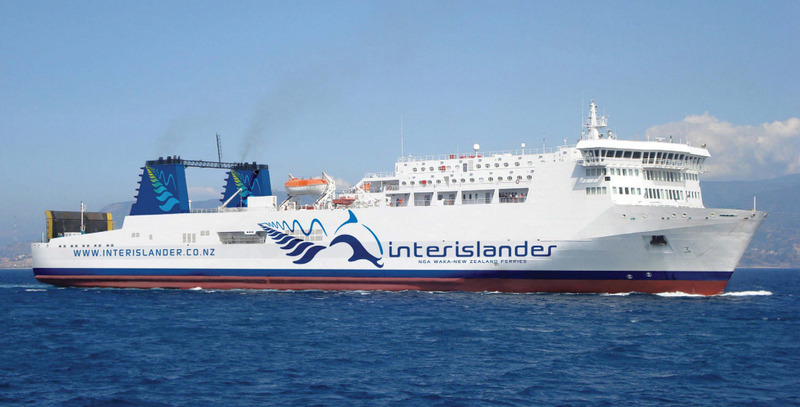 November 2013: Announcement made that she would be chartered to Interislander (New Zealand) as replacement for damaged ARATERE. 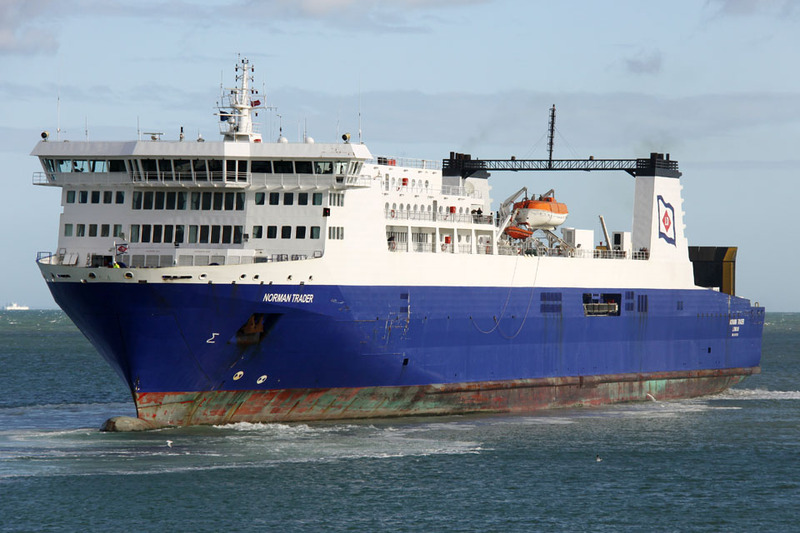 “The Stena Alegra ferry, which was blown aground in ferocious winds in the Baltic Sea last month, will be the temporary replacement for the stricken Cook Strait ferry Aratere. 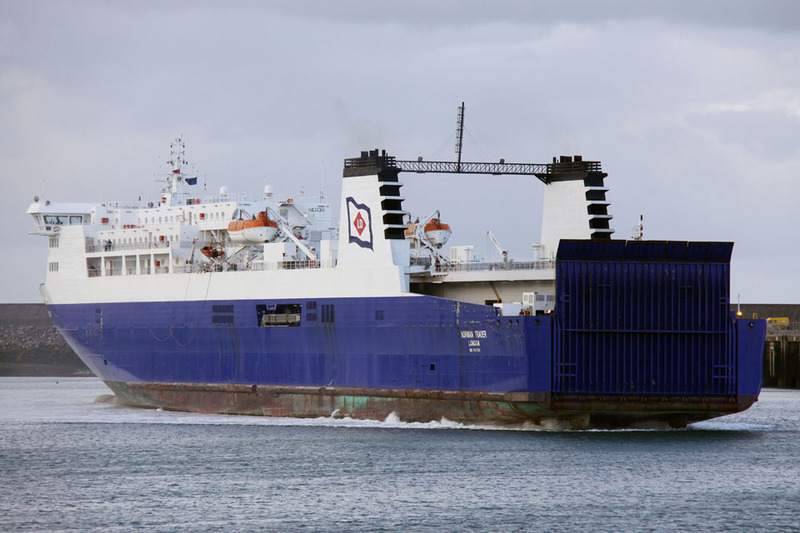 The 21,000 gross tonne (approx) ferry is expected to be delivered to Wellington for a minimum six-month charter period by a crew supplied by shipowner Stena Finance BV by the end of December. November 29th 2013: ETA to Falmouth deleted. Currently showing destination as Panama Canal. December 28th 2013: In port at Wellington. 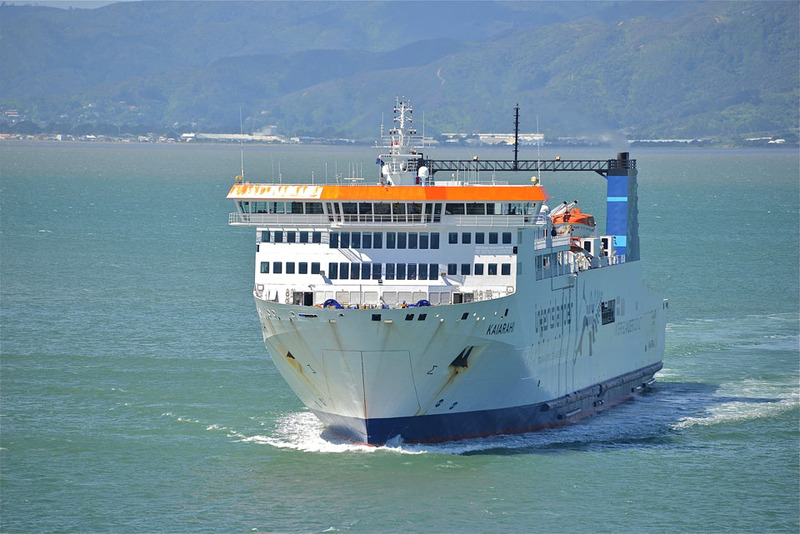 January 13th 2014: Inaugural sailing from Wellington – Picton (NZ). January 15th 2014: Broke down in Wellington Harbour. Technical problem caused both engines to shut down, affecting the control systems for one of the propellers. January 16th 2014: Resumed service from Wellington to Picton. 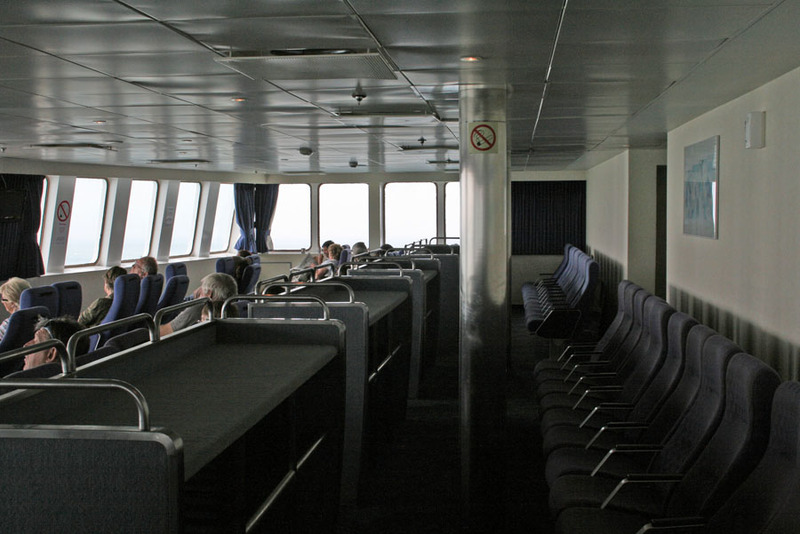 January 19th 2014: Some sailings cancelled due to adverse weather (4 metre swells) in the Cook Strait. April 8th 2014: Whilst berthing in Wellington during a Southerly gale the ship made heavy contact with a wharf sustaining a gash in her hull above the waterline. The ship was withdrawn from service for repairs. April 14th 2014: Following hull repairs the vessel returned to service between Wellington and Picton. May 8th 2014: Whilst underway a technical problem was detected with one of the ship’s two controllable pitch propellers. When the ferry returned to port in Wellington divers discovered part of one of the ship’s four propeller blades on one propeller was missing. 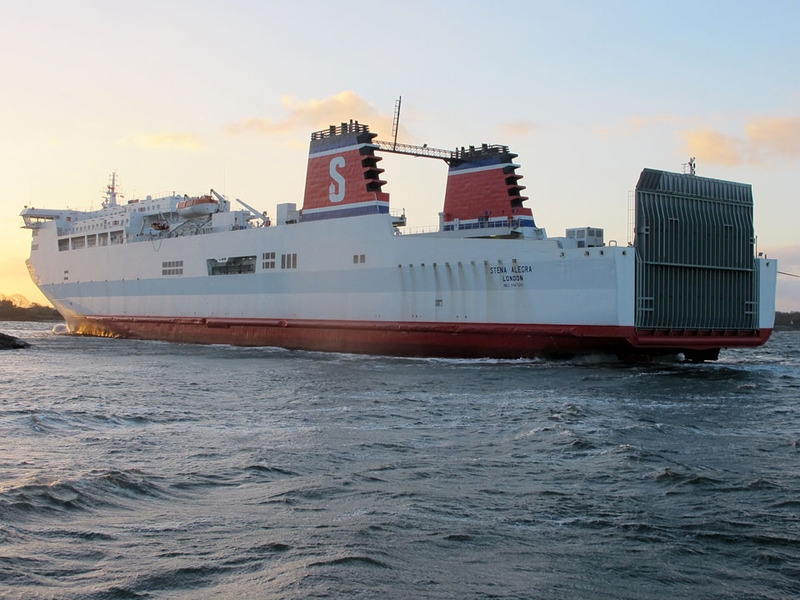 The Stena Alegra owners and ship’s classification society, Rina, agreed to a temporary and safe solution which allowed the ship to go back into service. The propeller was rebalanced by removing the propeller tip on the opposite blade to the damaged one. 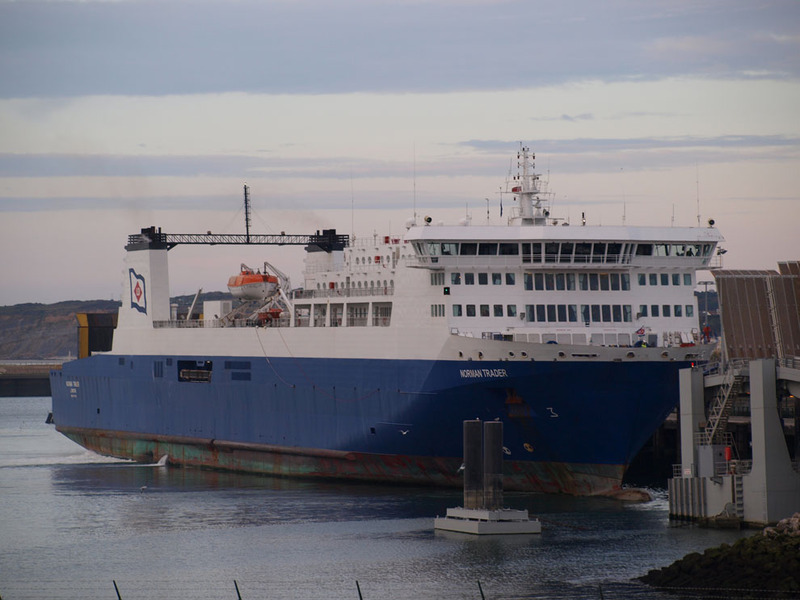 May 14th 2014: Following successful sea trials to test the temporary repairs to the propeller the vessel returned to service between Wellington and Picton. 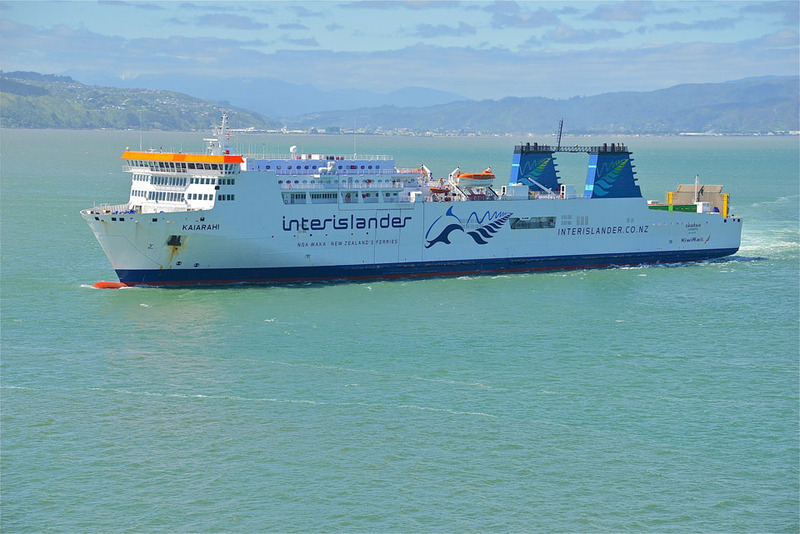 June 28th 2014: Having carried about 45,500 passengers, 34,300 vehicles and 11,900 trucks in 449 trips across the Cook Strait the Stena Alegra completed her charter to the Interislander Line. 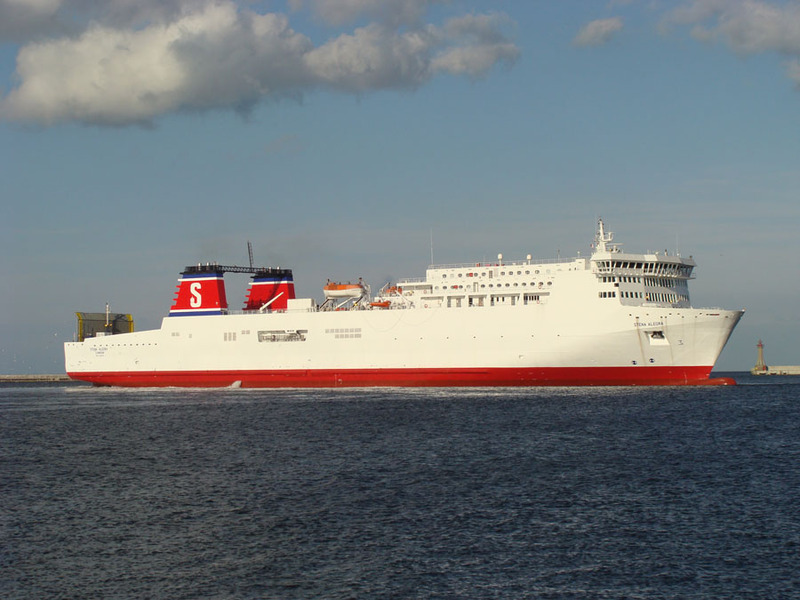 July 6th 2014: Departed Wellington, New Zealand for Singapore to await further orders. 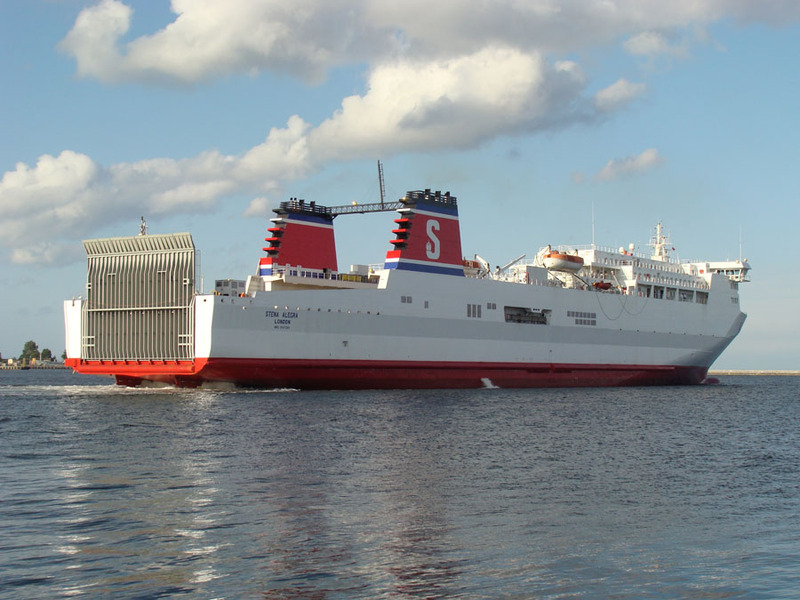 December 9th 2014: It was announced that the Stena Alegra will be chartered to the Interislander Line for 5 years replacing the Arahura. 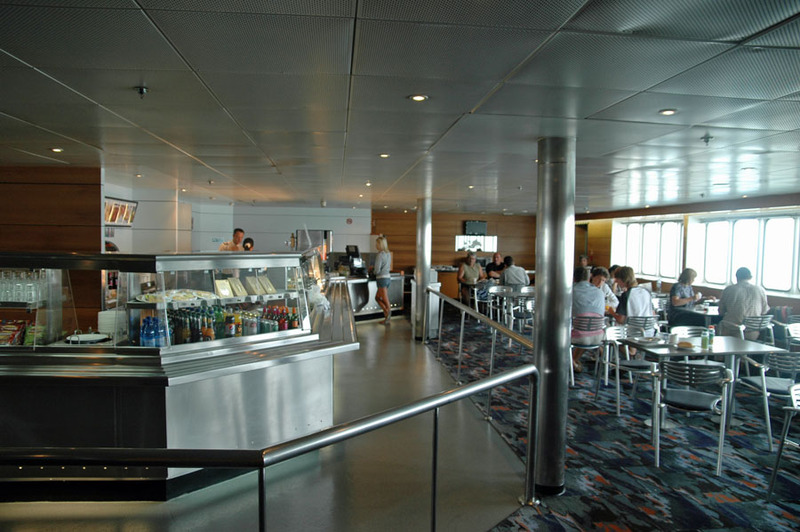 The Interislander ferry Arahura will be replaced by the Stena Alegra from mid-2015, KiwiRail announced today. 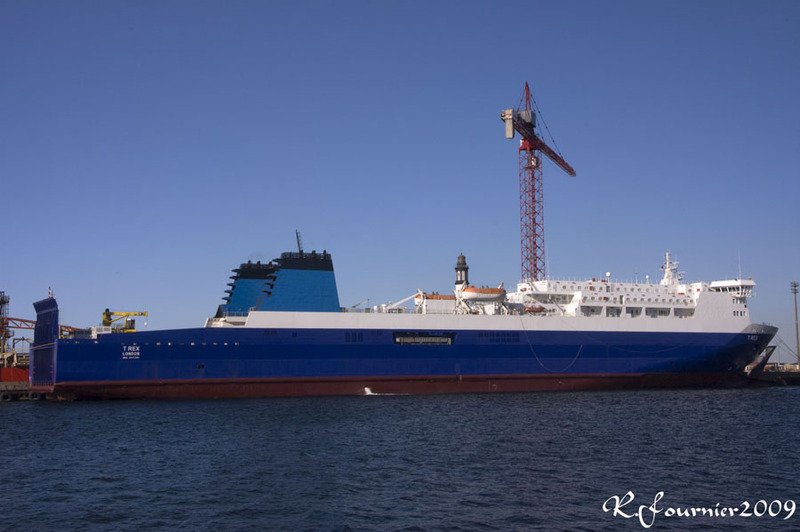 The Stena Alegra, used as a replacement vessel for the Aratere while she was in dry dock earlier this year, will be extensively upgraded before she arrives. 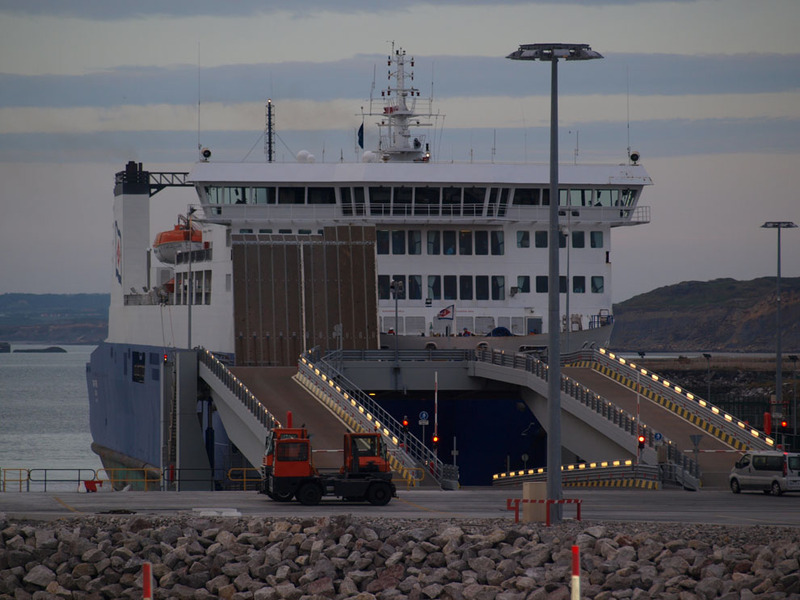 This will include new passenger facilities for up to 520 people, the fitting of external stabilisers, equipment upgrades and new gangway access. 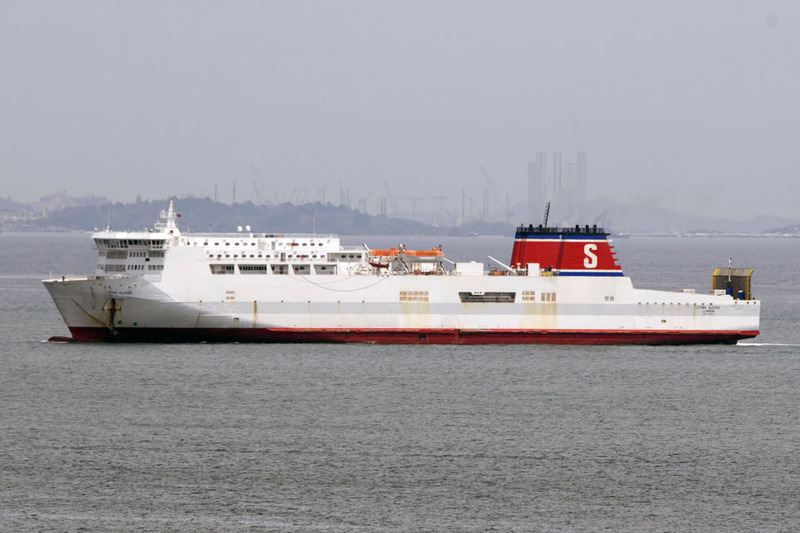 The Stena is a third bigger than Arahura. 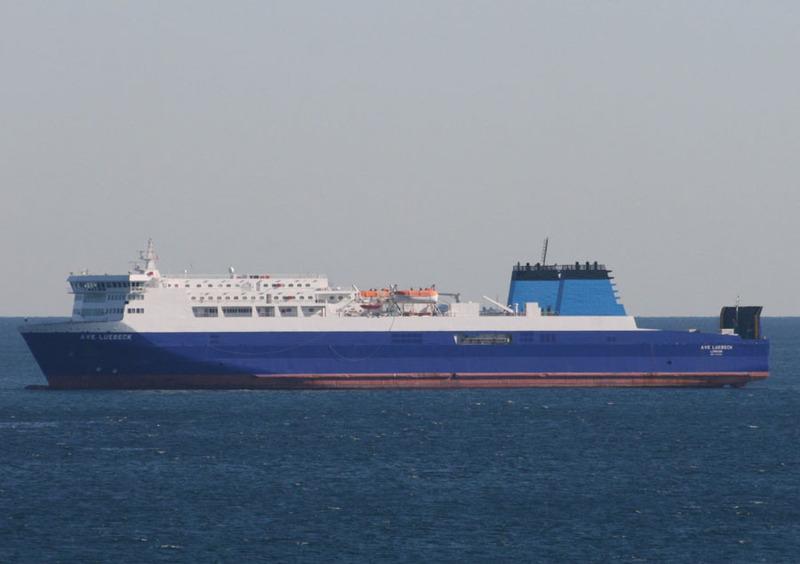 She will be able to carry close to the same amount of freight in two return sailings as the Arahura can in three. 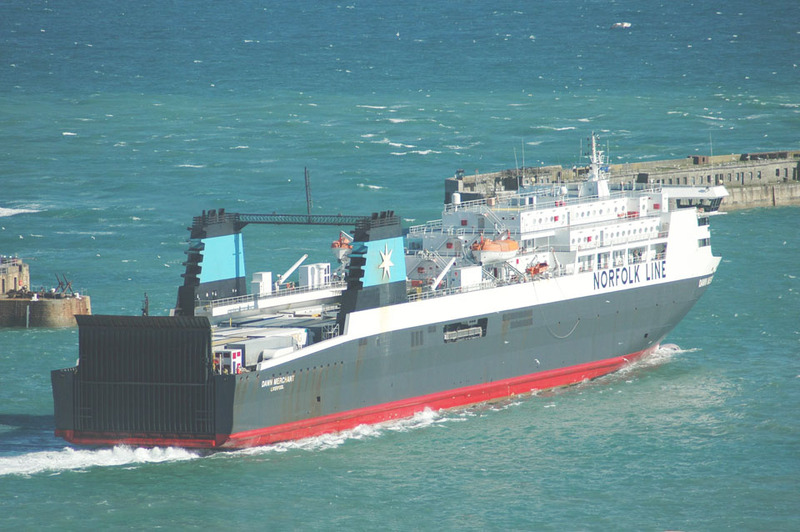 KiwiRail will charter rather than purchase the ship, as is currently the case with Kaitaki. 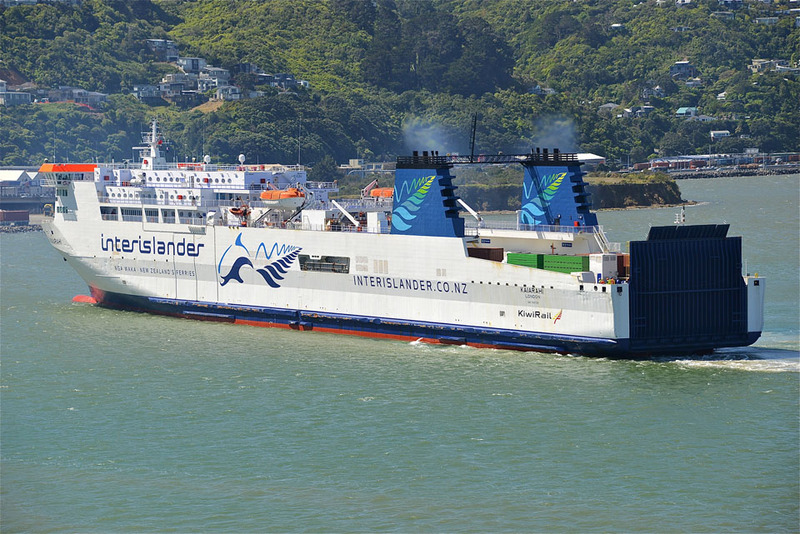 She will also be re-named and re-branded as part of the Interislander fleet. 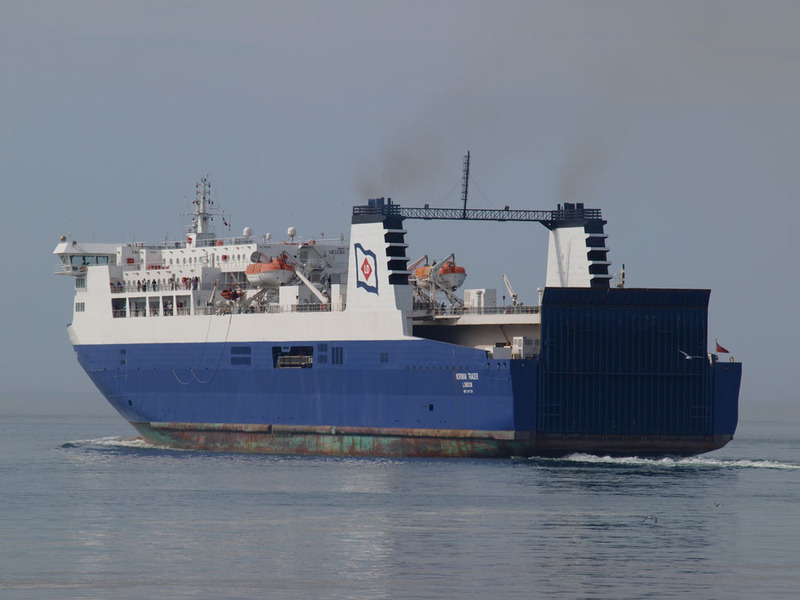 “The Stena Alegra’s capacity gives us a big efficiency gains and future proofs our fleet for increased customer demand.” The owner of the vessel, Stena RoRo would carry out the upgrading work to meet Interislander requirements. July 15th 2015: Still in Singapore. 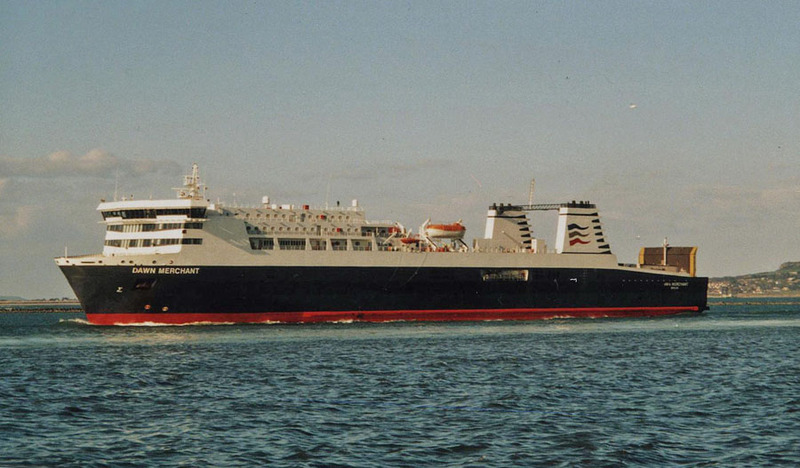 Before returning to New Zealand, would undergo a refit to better suit the Wellington to Picton route. Noted as having been renamed KAIARAHI. September 11th 2015: Left Singapore bound for Wellington. All information is believed to be correct and no responsibility is accepted for any errors or omissions found. All items included in this article are subject to © copyright. We would like to take this opportunity of thanking: Bartek / bratex, Steven Brown, Ian Collard, Robbie Cox, Daniel Ferro, Robert Fournier, Tony Garner, Martin Klingsick, Ken Larwood, Manuel Hernández Lafuente (Fotos de Barcos), Justin Merrigan, Simonwp, Kim Viktor, Kustbevakningen – Swedish Coastguard, John Wilson and Andreas Wörteler for their assistance in compiling this feature.